Accra, Jan. 6, GNA - Berlin Textile Limited, the first T-shirt company in the country under the President's Special Initiative (PSI) would soon export textile products into the United States' market. This followed signing of a memorandum of understanding with the Global Integrated Development Group Incorporated of the US, under the supervision of the Government of Ghana on Wednesday. 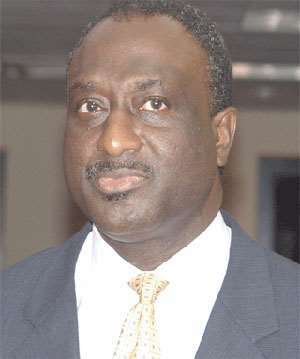 Mr Alan Kyeremanten, Trade, Industry and PSI minister noted that, the achievement stemmed from efforts made by government under the initiative in wooing local and foreign investors to take advantage of the African Growth Opportunity Act (AGOA). He said the textile and garment industry were a major stimulant to job creation and government would not sit on the fence and watch other countries take advantage of the situation. "Government will continue to create the needed conditions in order to attract local and foreign investors, who are interested in taking advantage of the AGOA", Mr Kyeremanten said. He said small, medium scale enterprises and exporters were also being assisted to take advantage of the opportunity. On Berlin, Mr Kyeremanten said the company, since its relocation in August 2003, had produced competitive quality T-shirts. Mr Robert Paapa Cudjoe, Executive Chairman of the Berlin Company attributed their success to the adoption of fundamentals of business and proper training of their staff. He said Berlin was also the first company in Ghana to handle knitted fabrics. "The excellent standards that we have achieved through our staff has resulted in securing our first major export contract to the United States of America", Mr Cudjoe said. Dr Bill Releford Jr., Chief Executive Officer of the Global Integrated Group expressed satisfaction with the agreement and said it marked a new era in the South Saharan Africa, as far as promotion and development of textiles and garments were concerned.